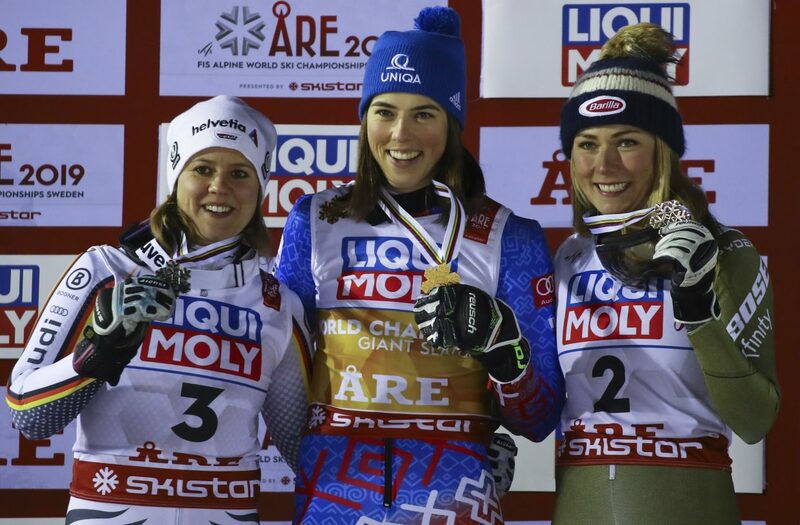 Slovakia's Petra Vlhova, center, shows her gold medal from the FIS Alpine World Ski Championships women's giant slalom, flanked by silver-medal winner Germany's Viktoria Rebensburg, left, and bronze-medallist United States' Mikaela Shiffrin on Thursday in Are, Sweden. Mikaela Shiffrin reaches across the finish line in Are, Sweden, during Thursday's FIS Alpine World Ski Championships. 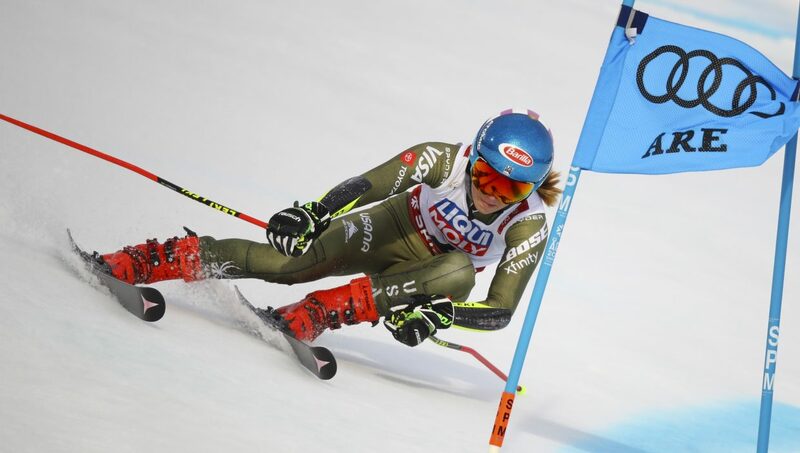 Shiffrin finished 38-hundredths of second behind winner Petra Vlhova. Slovakia's Petra Vlhova celebrates winning the giant slalom at the FIS Alpine World Ski Championships in Are, Sweden, on Thursday. Vlhova is the first Slovakian to win a gold medal at worlds. Mikaela Shiffrin races her way down during her second run at the FIS Alpine World Ski Championships in Are, Sweden, on Thursday. Shiffrin finished third for her second medal at this year's worlds. Mikaela Shiffrin skis to fourth place after the first run of FIS Alpine World Ski Championships giant slalom in Are, Sweden on Thursday. Shiffrin took third place for her second medal of the championships. Slovakia’s Petra Vlhova drew first blood in the technical events of the FIS Alpine World Ski Championships in Are, Sweden, winning the giant slalom with a combined time of 2 minutes, 1.97 seconds, with Germany’s Viktoria Rebensburg taking silver (14-hundredths off the pace) and Vail’s Mikaela Shiffrin, moving up one spot from her first run Thursday to take bronze. Shiffrin finished 0.38 seconds behind Vlhova. Shiffrin and Vlhova are the top two skiers in the world in slalom, which will be contested in Are on Saturday. It’s Shiffrin’s second medal of the 2019 worlds. She won the super-G gold last week. It’s her sixth career worlds medal (four gold, one silver and now bronze). It’s Vlhova’s first worlds gold of her career. Rebensburg matched her worlds best with silver. It’s her second silver in the Worlds GS, matching her performance at the 2015 championships here in Beaver Creek. Vlhova is the first Slovakian to win a world title. She also became the first from her country to win a World Cup when she won a GS in Semmering, Austria, back in December. Vlhova left the start gate with a 0.25-second lead over Shiffrin, who had just run. The Slovakian line appeared to make a mistake, slamming a gate midway through the course, but sometimes, the less graceful line is actually the fastest. In contrast to brutally cold temperatures during the first week of the championships, Thursday’s GS was warm and windy with rain on the course earlier in the day. 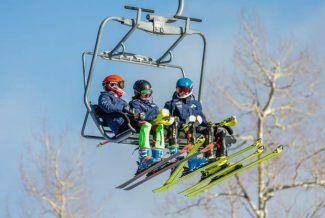 The International Ski Federation moved the start down the course, but everyone struggled with the breeze, which at times, seemed to be blowing up the slope. And that made it a free-for-all in the second run. The aces of the sport did not have the fastest time of the evening run. Vlhova was only the third-fastest in run No. 2, behind New Zealand’s Alice Robinson (17th and first out of the flip) and France’s Clara Direz (eighth). Fun trivia fact: Robinson might be the happiest of anyone in the field, as she has never scored a World Cup point and her blazing second run vaulted her into 17th at worlds. 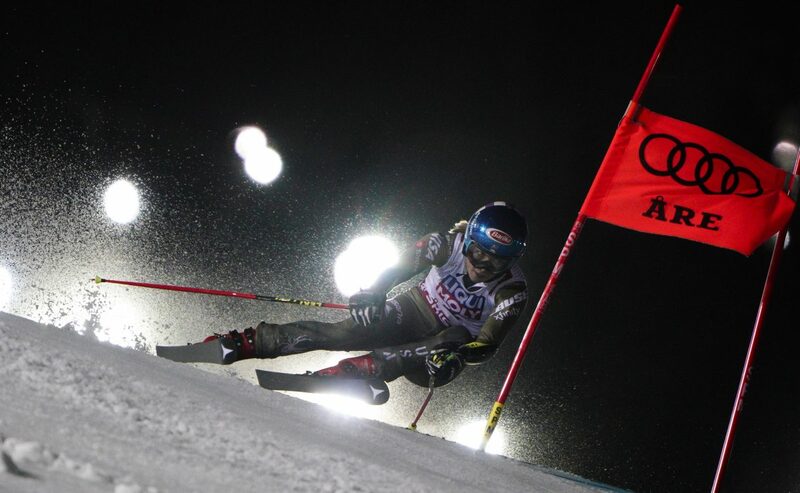 Rebensberg might have felt the gold slip from her fingertips with only the ninth-fastest second run, while Shiffrin had the sixth-quickest final trip down the hill. Shiffrin entered Thursday’s race with the World Cup giant slalom lead — she has 455 points, ahead of France’s Tessa Worley (374), the defending world champion from 2017, and Vlhova (318). 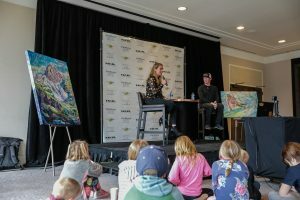 While Shiffrin captured GS gold at the 2018 Olympics, she has never won the World Cup season title in the discipline, finishing third in 2015 and 2018 and second in 2017. In her four worlds appearances, she’s always been in the top 10, but never on the top step. She has finished sixth (2013), eighth (2015 at Beaver Creek), second (2017) and now third. Of Shiffrin’s 56 World Cup wins, nine have come in GS. By comparison, 38 are in slalom. 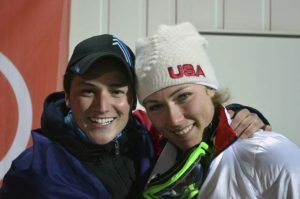 Shiffrin had been on a bit of a roll in giant slalom, having won three of her four last starts in the discipline. During that stretch, her one “loss” — a fifth-place finish in Semmering — Vlhova reached the top step. The two also tied down to the hundredth-of-a-second in the Maribor, Slovenia, GS on Feb. 1. And that sets up Saturday’s slalom showdown. In seven traditional slaloms this season, Shiffrin is 6-for-7 with a second-place finish in Flachau, Austria. In a not-so-shocking development, Vlhova won in Flachau. In parallel slalom (Dec. 9 in St. Moritz, Switzerland) and the city event (Oslo on Jan. 1), which for the purposes of World Cup points fall under slalom, Shiffrin won in Switzerland and finished second in Norway behind … Vlhova. Shiffrin enters as the three-time defending world champion, having won in 2013, 2015 and 2017. Vlhova was fourth in 2017 and 44th in 2015. Saturday’s slalom runs are set for 3 and 6:30 a.m. Mountain Standard Time.